Interesting thing about many workout exercises is that they don’t necessarily require gym equipment to be performed. There are a lot of exercises to choose from and their quality remains intact. All you have to do is stick to the program, exercise the right way and motivate yourself. One of the main advantages of exercising at home is the isolation. Exercising requires full concentration. We all know that a lack of concentration can easily lead to unwanted injuries. Individual private exercise in the living room will exclude crowded gym; unwanted chit-chat with friends between sets; waiting in line for a workout machine and etc. The entire workout timetable is left to you. You can easily plan the workout routine and concentrate on its performance. Other advantage is it is cheap.Push-ups on one hand require small space to be performed. 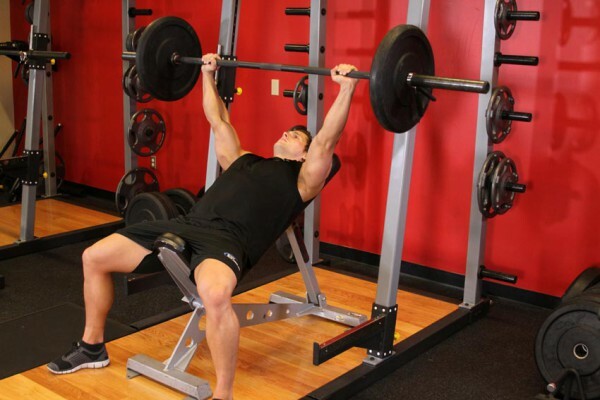 They are the best chest workout without the need of a bench press. To our satisfaction, push-ups are capable of exercising the entire upper body; chest, shoulders, triceps, biceps and back. It all depends on hand position (Chest- Push Ups Variations). Among other exercises are The Bench Dips, which is a very effective triceps workout; squats for leg exercise; and numerous floor ab crunches. You can make a small investment by purchasing a pair of dumbbells (you chose its weight) or a cardiovascular workout machine, like a treadmill or stationary bicycle. Home exercising is great for people that don’t have the time to visit the gym very often. Gym exercising ties you to a time schedule during the day. Home exercising is flexible. You are not obliged to workout 15 minutes after coming back from work. You can take a rest and then start exercising. It is good that the body will get used to a certain workout routine and workout exercises; but don’t let them stay longer then 3 to 4 weeks; change them once in a while.